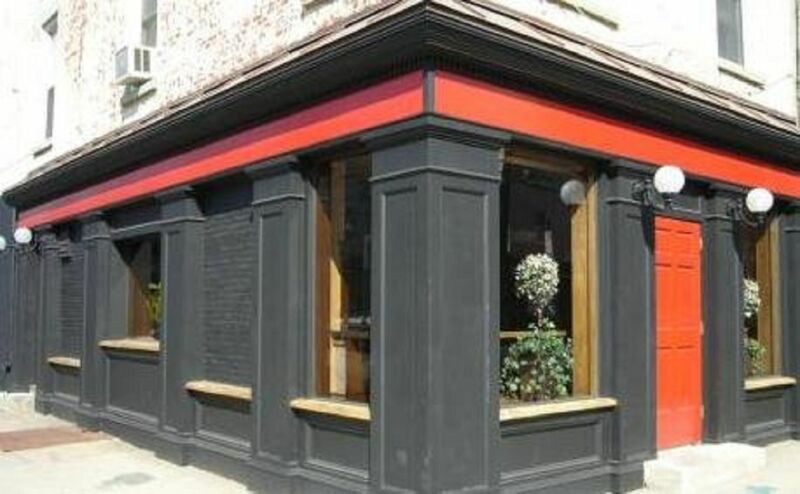 LocalBozo.com has sent one of our correspondents out for some field research, as our own Link Cromwell attempts to bar crawl his way through Hoboken, New Jersey- just a stones throw away from Manhattan. Check back for his adventures and travels every single Friday as LocalBozo.com attempts to do the unimaginable. And yes, it involves drinking. So as you can see we are certainly running out of days in 2011. Also its pretty apparent that I couldn’t make it to every bar in Hoboken in 2011, but that’s not the purpose for this entry. Instead, let me introduce you to Moran’s Pub. Located on Garden and 5th Street off the corner of Church Square Park, its possible that you walked by Moran’s and didn’t even realize it existed…but do yourself a favor jump inside and get a drink! When I first moved to Hoboken and started taking classes at Stevens I used to walk right by Moran’s all the time. In fact I didn’t even know it was called Moran’s because for a while they didn’t have a name up anywhere (it’s now painted above the door on the Garden Street side). And because my class was on Monday nights, I didn’t even know if the bar was ever open…after all they are closed on Mondays…so don’t come here for Monday Night Football. And the couple times I walked by midweek when it wasn’t a Monday there weren’t many people inside. So with all of those factors – not open on Mondays, really small crowd, and no name up anywhere I actually thought it was some kind of social club. But after heading to Moran’s on a Friday night after a year of walking by it all the time I was shocked. There was a lively crowd, and apparently they had a name! Well that was my introduction to Moran’s but let me tell you about my most recent visit. I headed over there with a group of four early on a Friday night during the holiday week. As expected considering most of Hoboken fled for the weekend, Moran’s was empty. It was nice, choosing whatever seats we wanted at the bar. We got immediate attention and were served our drinks quickly. The bartender was really nice, and a pro’s pro when it comes to bartending. You could tell he’s been doing this for a while. He’s got a nice long history in Hoboken bars. I had myself a Yuengling, while some other mixed drinks and scotches were drank. But really if you come to Moran’s, stick with the beers or the scotch. Also if you are a Irish whiskey fan try the Red Breast. The draw of Moran’s is the neighborhood feel of the place. Its small and they don’t serve food, but you can always grab a drink and catch up with friends. They have a few TVs mounted above the bar and are quickly on point in getting sports on TVs as the games starts. Even hockey games get put up on TV. Also, Moran’s has a good dart board and there usually is someone around looking for a game. After a few drinks it was time to leave. While we were basically the only people in the bar during our time there, if you go on most Fridays or Saturdays you’ll see a great crowd, and if you go there other days and nights you’ll still find someone to talk with. Preconceived notion –I’ve been to Moran’s before and I know it to be a neighborhood place. I had a feeling it wasn’t going to be too crowded during the holiday weekend. Crowd stereotype – Um, it was just us…so I’ll say the crowd was a bunch of really good looking, awesome people. Music – I think it was the bartender’s iPod. Good music. Value – It’s the type of place that if you got there a couple of times and show a good tip you will get great service, some heavy handed drinks and even some buybacks. Date – Maybe an informal date on a Friday or Saturday night. Hookup – Eh, maybe, but unlikely. First or last drink of the night – One of the best places for a first or last. 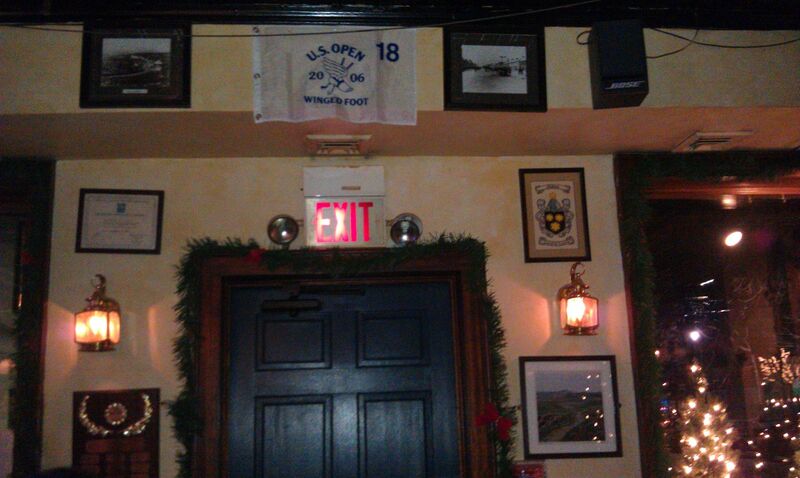 Overall – It’s a ‘Cheers’ like atmosphere in Moran’s. They are far enough from Washington Street that basically everyone who goes to Moran’s is from Hoboken and is just a local who has been there before looking for a comfortable time. It was definitely a fun time and I’ll probably head back to Moran’s one a busier night … I’ll give it an 8.4. Seu browser não suporta iframes. Eggplant Meatballs - How cool! Great article and love the picture of the seaweed taco! © 2019 LocalBozo. All Rights Reserved.